Cover your walls with your own custom graphics. Get as creative as you like or find a photo or scene to turn your wall into a work of art. Our wallpaper material is fire rated and installs just like traditional wall paper. 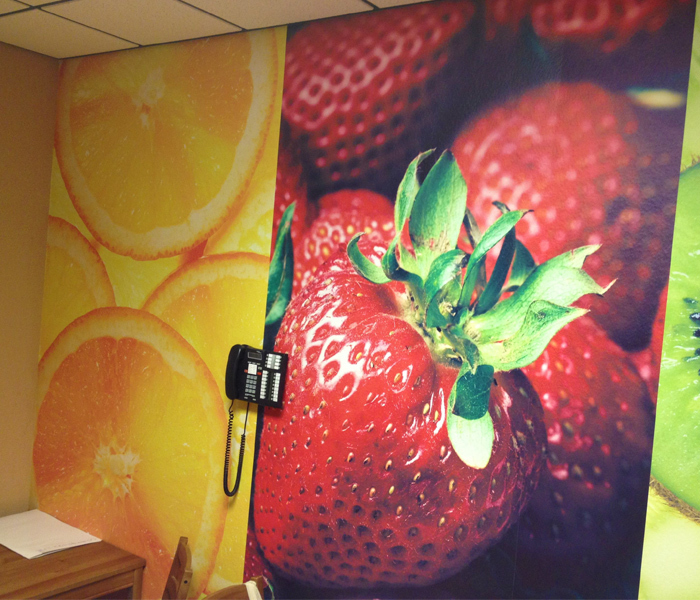 Here is a sample of actual wall-paper we printed and installed in our break room. Your brick or masonry wall can be just a wall or it can be custom message for your business. 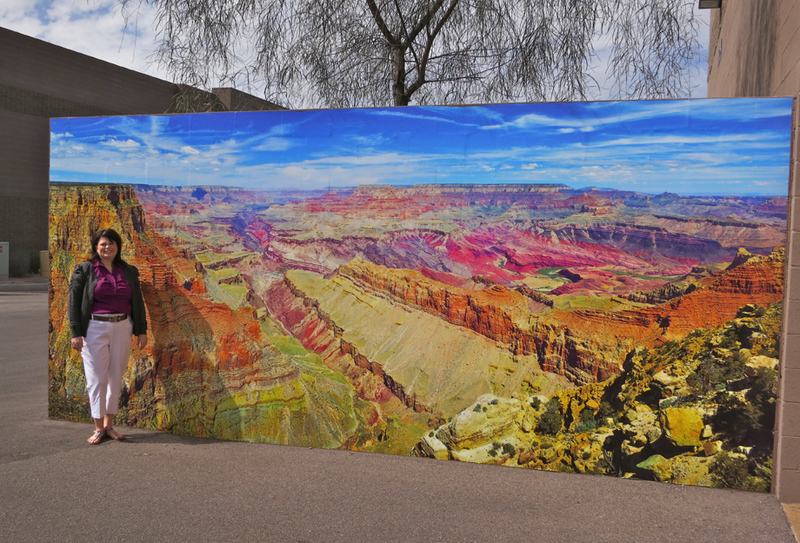 The material we use for outdoor wall graphics has a special adhesive made specifically for rough walls. We print with low solvent inks for high durability, and coat your wall graphic for UV protection. 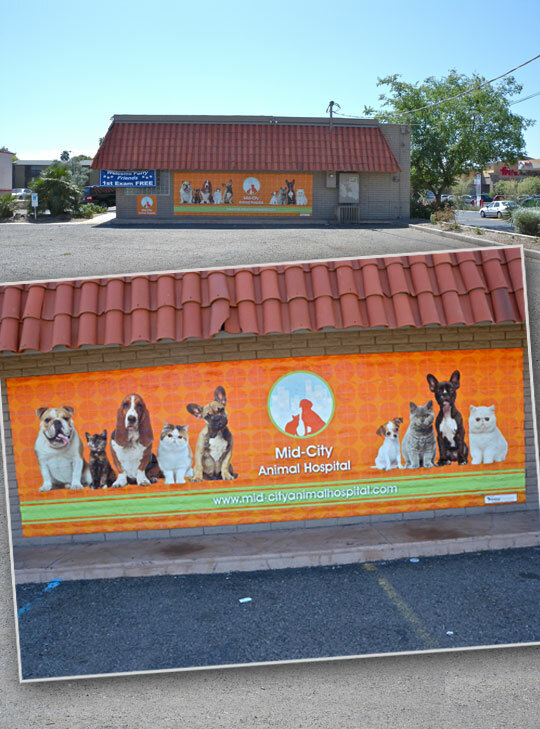 Mid-City Animal Hospital outdoor wall graphic, view from a distance and close up. This print required special graffiti proof lamination.